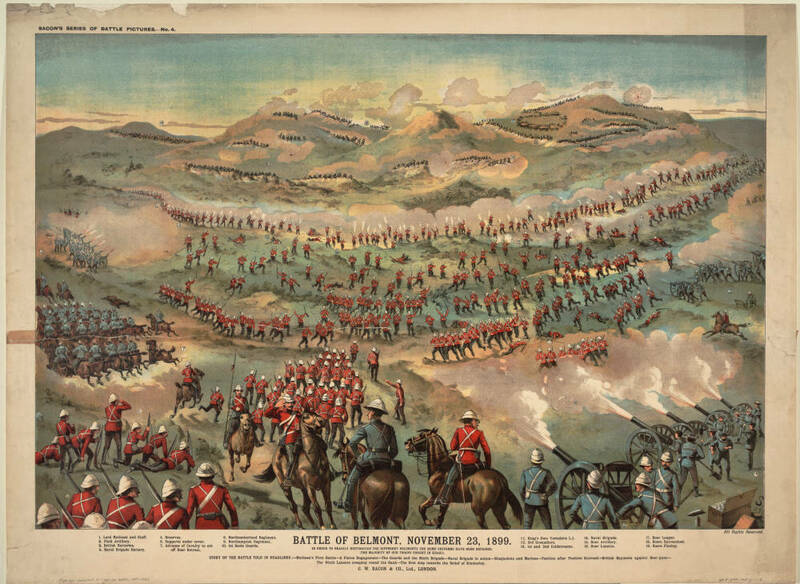 Left: Battle of Dundee (Glencoe), October 20, 1899. 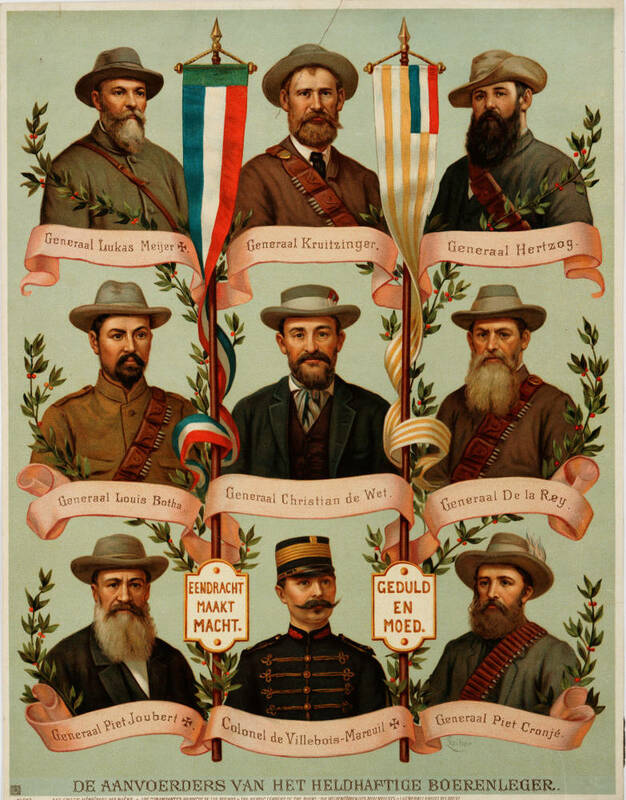 Middle: Boer generals and officers. 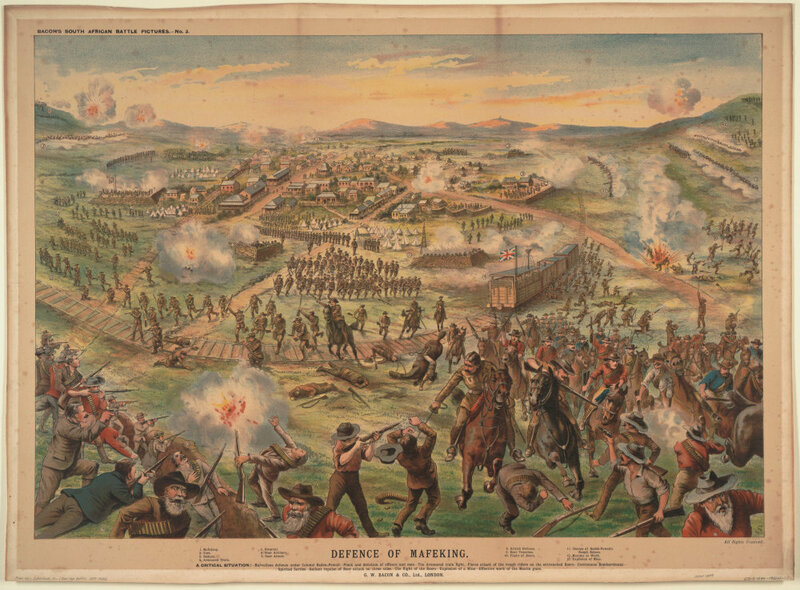 Right: Battle of Belmont, November 23, 1899. 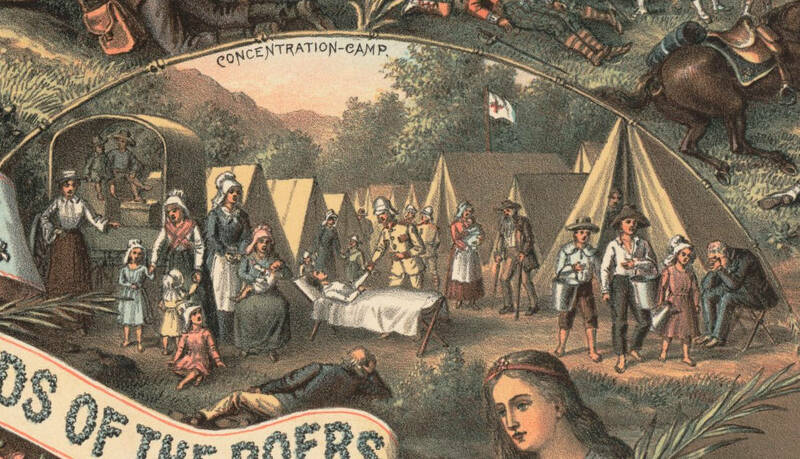 There were really two Boer Wars. The first, in 1880-81, began after Disraeli had annexed the South African Boer Republics — the Transvaal and the Orange Free State — in 1877. After making repeated attempts to repeal annexation, the Boers under Kruger revolted and secured limited self-government. 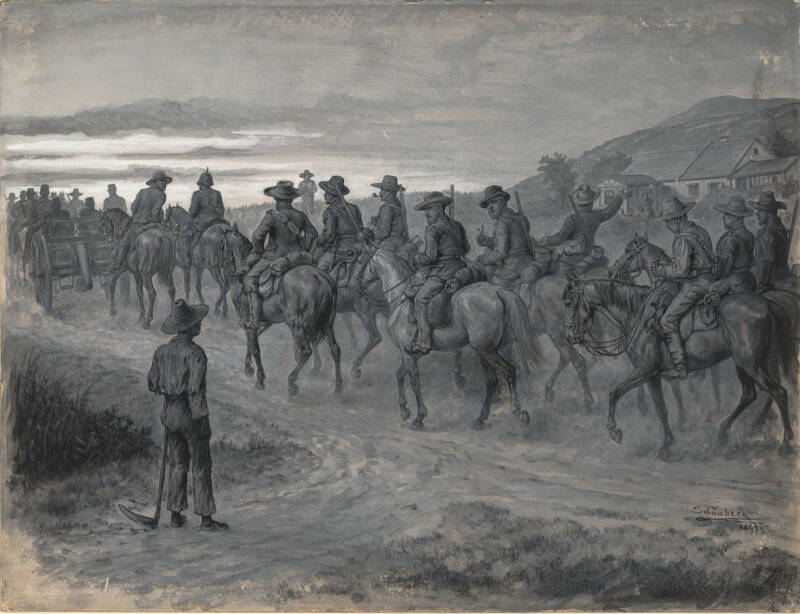 After gold and diamonds were discovered in the Transvaal, tensions between native Boers and British "uitlanders," aggravated by guerilla raids and the repressive policies of the British Governor of the Cape, became more intense. Left: Boer cavalry on the march, 1899. Right: British prisoners in South Africa/span>. 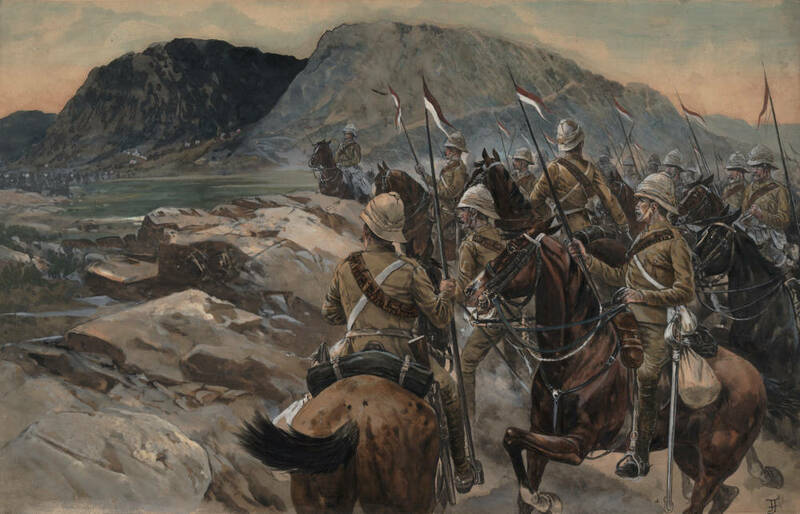 After the Boers attacked Cape Colony and Natal in October 1899, the second war, which lasted until 1902, was underway. 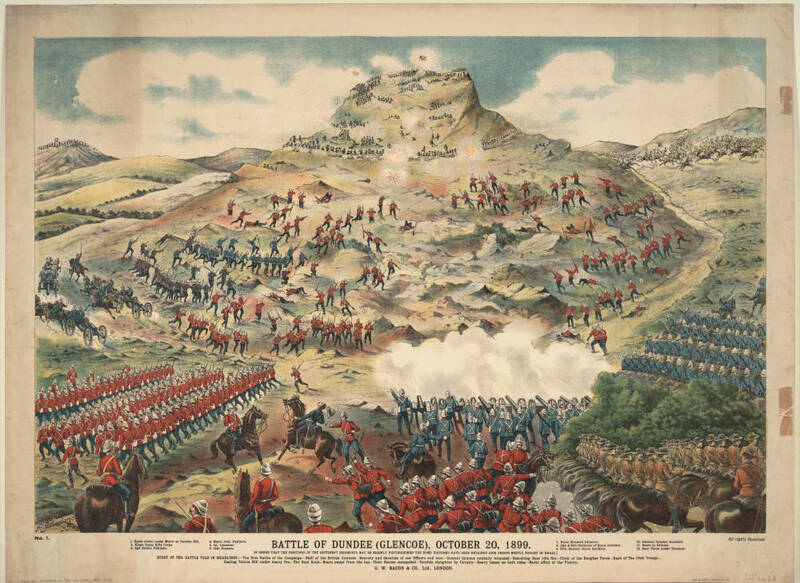 British forces at Ladysmith, Mafeking, and Kimberley were surrounded and besieged until relieved by counter-attacks by forces under Roberts, the British commander-in-chief who had been the hero of the Indian mutiny. 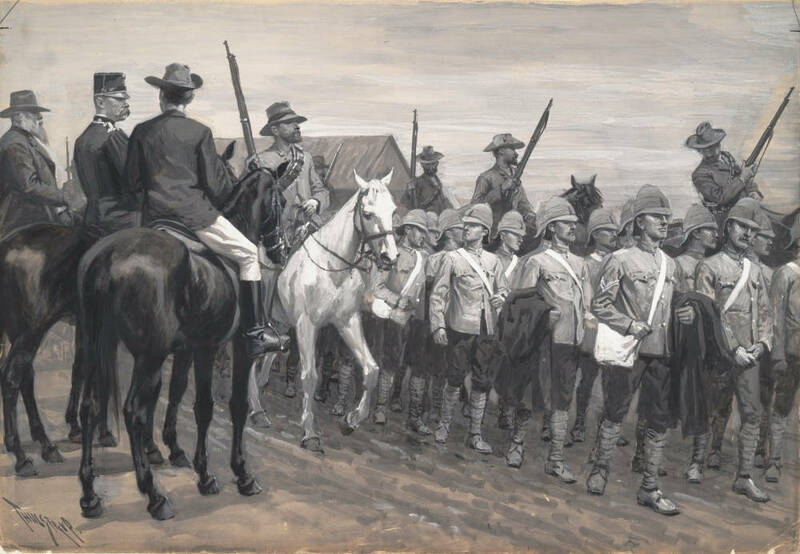 Between September 1900 and the peace of Vereenigning in May 1902, Boer commandos fought a prolonged guerilla war against the British, who responded by putting Boer civilians in concentration camps. Left: Defence of Mafeking. Right: The flankers outflanked. Cavalry under General French. Pakenham, Thomas. The Boer War. 1st ed. 1979 London: Weidenfeld and Nicolson, 1997.